- Tired of adorning your wall with paintings and art pieces? 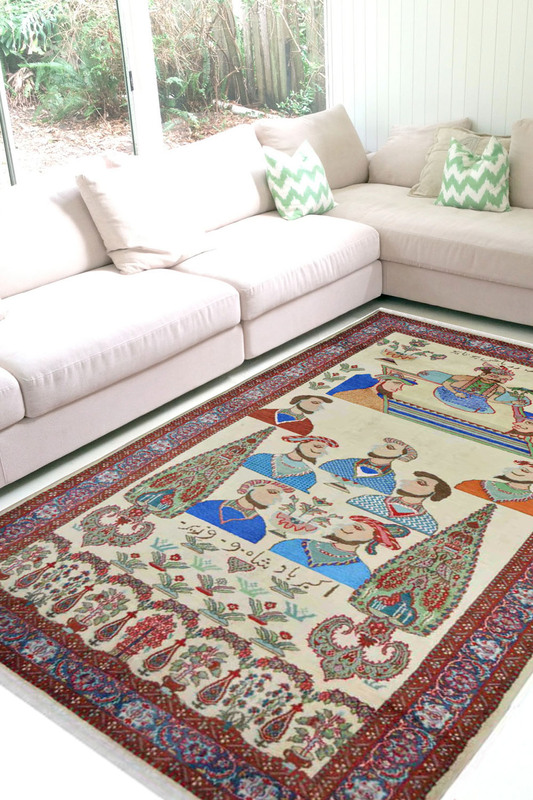 - Place this gorgeous "Signature" Persian rug as a wall hanging. - The design is pictorial and depicts a scene of from the palace of the Great Mughal Emperor "Akbar" in late 15th century. - The rug is handmade in the finest wool and it has taken 6-7 months to weave this gorgeous beauty. - Primary colors are blue, green, red on an ivory cream background. - The border is intricately woven with a floral pattern. - Most ideal as a wall hanging.